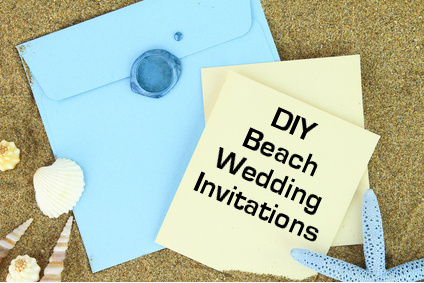 Is creating your own handmade beach wedding invitations is the way to go? This might be a question you are asking yourself if you are planning your beach wedding and you are looking to perhaps cut some costs or even just to add a personal touch to your wedding. It is cost effective. To have invitations professionally made can be a very expensive exercise. You could save half or even more of the expense if you decide to make your own wedding invitations. If you are a creative person or you have some creative friends or relatives who could help you with the invitations, then this is the way to go. They lend a personal touch to your invitations. Your handmade beach wedding invitations will be totally unique and you can lend your own personal style to them. They will definitely stand out from all the other cookie-cutter wedding invitations. If you choose something totally unique and you make them yourself, your wedding invitations can become something your guests will treasure even after your wedding is over. Making your own wedding invites is also a very rewarding thing to do. Instead of just buying a generic invite, or getting a designer to make them for you, do them yourself and the compliments you receive from your invited guests will mean so much more. After all, your wedding is a personal rite of passage and the more you involve yourself and your personality into it, the more reward you will reap. If the above points make sense to you and you want to undertake making your own beach wedding invitations, then read further down the page where we give you some great ideas as well as other resources to make the process that much simpler. Above all, have fun! 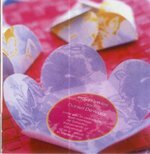 Do-it-yourself-invitations.com is a great website packed with ideas, tips, and step-by-step instructions to make handmade invitations using desktop publishing combined with your own creativity. Here you will learn to make custom handmade beach wedding invitations with unique style and personality. Below are a few more ideas to inspire you to create your own handcrafted beach wedding invitations. If your theme is anything tropical try this hand made fold out flower-inspired invitations. They are easy to make and are sure to impress. First, download the template for the invitation. Use an A4 sheet of heavy paper or card stock and cut out a flower shape according to the template. You can also use your printer to print the template onto your chosen paper if you wish. Using a craft knife, score a pentagon long the dotted lines and fold the petals inward. On a separate sheet of paper print your wording. Then cut it out and stick in on the inside of your invitation. Interlock the petals so they will stay closed and tie with a ribbon, raffia or seal with a drop of wax. Message in a bottle handmade beach wedding invitations are always popular and are easy to make. Contact a glass bottle manufacturing company and buy some tot sized glass bottles, mini Champagne/Sparkling Wine bottles or, if you like, use some vintage Coca-Cola bottles for a unique spin on this type of invitation.Or buy some on Amazon HERE. Print your invitations on your chosen paper (making sure that the diameter of the invitations will be smaller than the length of the bottle). Roll the invitations up and pop into the bottles with some sand, starfish, shells and even a mini cocktail umbrella if you like. Seal and decorate with a little ribbon. 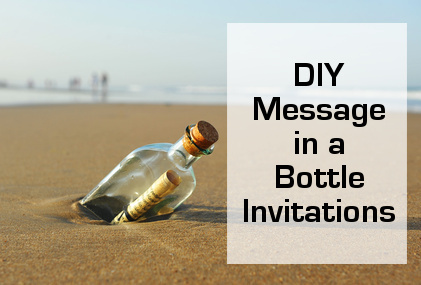 These message in a bottle invitations are of course also available to buy. This is a fun idea for sending your Save The Date card, or if a beach party is your theme and you are having a very casual wedding. 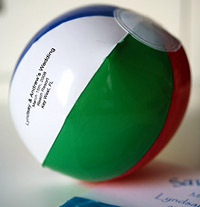 These beach ball handmade beach wedding invitations are fun and unusual. Buy a whole lot of cheap beach balls (mini ones are cute) and inflate them; write the invitation on them with permanent marker, deflate and post. You could also include a more formal card with this invite if you like. Easy and most definitely very different! A treasure map is also a very creative idea for both wedding invitations and save the date cards, and can also be used for your welcome cards (including maps, sites to visit and pre- and post wedding activities). For save the date cards, it gives your guests a hint as to where your wedding will be held. It is also unique and fun. Print your invitation on rustic hand made paper. 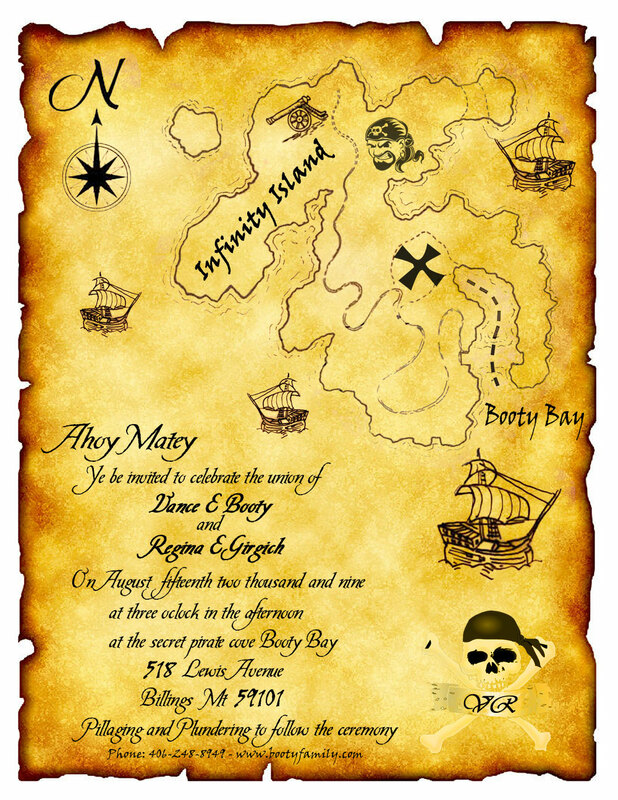 Use rhyming wording and include a "treasure map" to the reception or ceremony venue. X marks the spot of your union! Once finished, burn the edges of each invitation, roll up like a scroll and hand deliver or post in some cardboard tubing. It can of course also be incorporated into a message in the bottle type invitation. These three-dimensional invitations are easy enough to make and unique. It clearly states that your wedding will be on a beach and/or a beach destination. Buy some small cardboard boxes online here. Then choose a nice printable wedding invitation. Here are some nice free ones. Roll the invitation, once printed and cut to size in a piece of burlap, tie with some raffia. Fill the box with sand and shells if you wish. 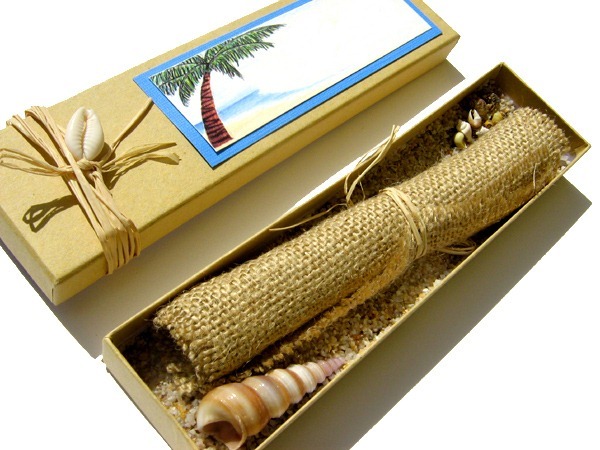 You can decorate the outside of the box with some raffia and shells like the picture as well as a photo or print of the beach or even a photo of you as a couple. 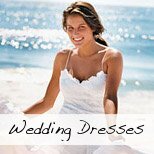 Follow Beach Wedding Guide's board DIY Beach Wedding Invitations on Pinterest.